Augmented Reality is an integration of digital information in the form of text, graphics, audio, 3D models, GPS data or other virtual components, overlaid on a real-time camera view within smartphones, tablets, glasses or head-mounted displays (HMD). With advancements in wearable computing, smartphones and the Internet of Things, Augmented Reality solutions are poised for rapid growth. Enterprise Architects (EA) today consider integrating Augmented Reality (AR) to enhance end-user experience and transform traditional business processes such as manufacturing, maintenance, training and more. A recent survey by Gartner reveals that 40% of all organizations currently using or piloting AR found that AR technology exceeded expectations. With the advancements in Industrial IoT, many industrial workers have started using smart wearables and mobile devices to gain access to real-time IoT data when they are operating, inspecting or maintaining equipment. Integrating Augmented Reality with these industrial IoT applications will provide a hands-free and intuitive user interface, with easily available contextual information, and enhanced safety. VOLANSYS helps various industries implement custom Augmented Reality applications that integrate with cloud-based IoT platforms to improve industrial worker productivity and reduce equipment downtime. AR SDK/APIs: Vuforia, Wikitude, Kudan, AR-media, Layar and more. Mobile Platforms: iOS, Android, Windows and/or other. 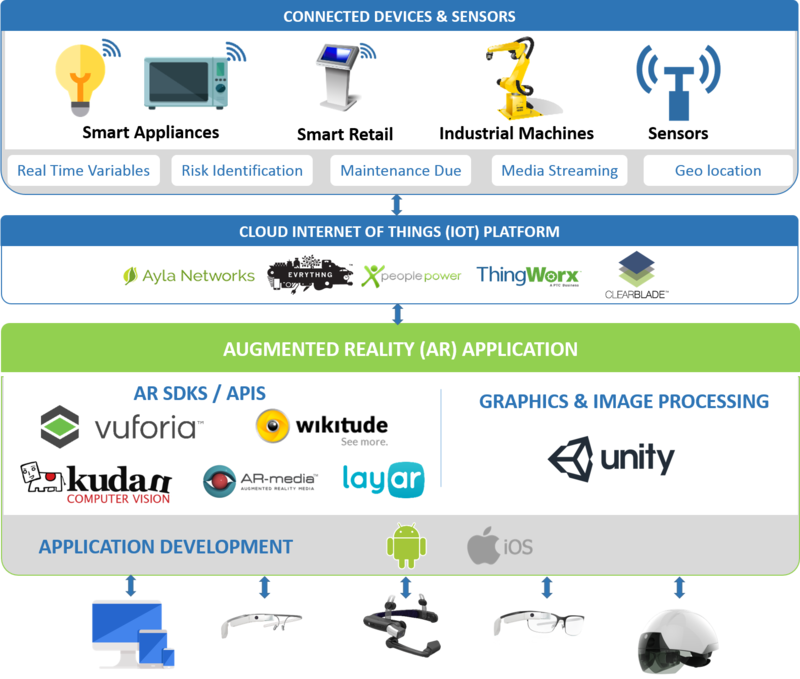 Cloud IoT Platforms: Ayla Networks, Clear Blade, Everything, IBM Watson, Thing Worx and/or other. Identify relevant information from the integration of cloud APIs, existing enterprise systems data, textual instructions, videos and more. 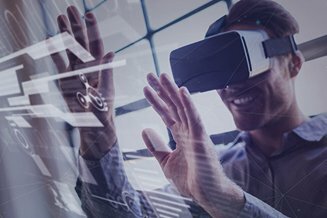 VOLANSYS provides enterprise-class Augmented Reality development services for industries such as Aerospace, Defense, Security, Engineering, Construction, Transportation, Logistics, Oil and Gas, Mining, Healthcare, Education, Retail, Automotive, Agriculture, and more. Our AR consultants suggest right technologies and platforms to author an innovative AR experience that address business challanges. Are you looking for Augmented Reality Development? Discuss your project with us.